HACK – Unlock Windows XP Password without any Programs! ← HACK – Unlock Windows XP Password! 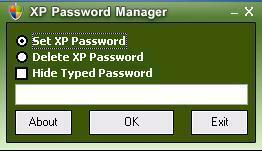 Again, here’s another hack for your Windows XP password hacking pleasures when you forget your password! 88 Responses to HACK – Unlock Windows XP Password without any Programs! Ires, I tried this the other day with ONE major problem. You cannot delete your own Account OR Delete it from SAFE mode-Because you must be an ADMIN (in regular Mode) to do this. I did try to do a SYSTEM RESTORE with deleting the new account in the advanced tab, but that Failed to do a RESTORE for some reason. ok first of all lol its idres, spelling eror, lol, add me on my msn @ m.idres@hotmail.co.uk as i dont know exactly what you are talking about and as you can see from the date of my preivious message it has been ages since i have been on this websyt b/c of course i am an admin user now so theres no need to search google to hack into an admin account. ok i just chatted b**lshyt, lol, anyway add me and we can discuss it via messages or online if u have the msn messenger. just send an email stating in the subject line hacking into admin account, so i know its u, lol. bi, gud day, lol. ok seriously this is the second tym i am saying this as the first tym i dont think it worked, so im giving it to u stryt foward b/c i dont have tym to write wat i wrote b4, email me at m.idres@hotmail.co.uk so i know where you are stuk and in the subject line write ‘hacking’ plz. thx and i look foward to ur email. thx and buh bi. lol. It’s more simply this- You Cannot Delete your own (Newly Created) Account , to cover your tracks. I almost got myself in major trouble bc of this!! You cannot delete the account from SAFE MODE (admin user) either. I agree to say this is not hack. But, its nice article for other readers .. Cheers ..
hey not my work, just a video I put up, but thanks! YEAH YOU ARE RIGHT, IT IS ALMOST IMPOSSIBLE. I HAVE WORKED FOR A LONGED TIME TRYING TO FIGURE OUT HOW TO HACK THE ADMINISTRATOR PASSWORD BY USING A LIMITED ACCOUNT. BUT I COULDN’T FIGURE IT OUT. IT IS TOO DIFFICULT. ALMOST IMPOSSIBLE FOR ME. IF YOU ARE A REAL HACKER, SHOW US HOW TO HACK PASSWORDS WHEN YOU ARE NOT LOGGED IN, OR WHEN YOU ARE USING A LIMITED ACCOUNT!!! actualyl its possible, i cant be asked ryt now how to say so but if u email me i can get back to ya. my addy is spaced out so that spammers cant scan this syt and tyk it. m.idres @ hotmail.co.uk and btw they arent hacks you are merely just craeting new accounts and dleeteing them. if u really want to try to hack just get a key logger. i knwo a pretty good one that is a free trial for 7 days but u can reinstall it anytym, lol. I have used OPHCRACK LIVE CD and it cracked and shows the password…but it can’t differentiate between upper and lower case…so the password still cant be used. I have a Dell Inspiron 1200 that asks for an HDD password when I turn on the machine. I’ve already reset all the BIOS/CMOS passwords, but cannot figure out how to delete/reset the HDD without knowing the original password. Can anyone help me with a FREE way of deleting/reseting the HDD password so that I don’t have a 4 pound paperweight? Anyways, nice read- and keep up the good work. Im just trying to figure out how to unlock my daughters computer, she changed her password but cant remember it…is there a default way to login and change it? 2)it propmt me to give a password:(Error) System Security- Password required. I try everything but nothing came out successful. Please can anyone help me. Guys I think you should use some software to brute force the winxp admin account..
My Friends Father Has Recently Died. My Friend Was Left His Fathers LapTop. The LapTop Has Only An Administrative Account. The Account Is Password Protected! My Friend Does Not Know His Fathers Password And Does Not Want To Lose What He Has On The LapTop. Is There Any Way He Can Get Into The Account? A Simple Or Any Explaination Would Be A Great Help. how can i hack administrator account? Why do you try to use the Windows Password Reset? No need to call a technician, no need to re-install anything, and you certainly don’t need to reformat. The program will enable you to reset the password to “Blank” with no -reformatting or installation. Do all the job for you automatically. It’s worth a try. This is a good method but remember there are several different ways and software that is both free and non-free which can remove any Windows password. If you don't know your password, how would you log on to access command prompt? why not just do this??? # Setup offers to repair a damaged installation. Select your Windows XP installation from the list and press R to begin the Repair process. Pay close attention, you will soon interrupt this process! # You will be required to reboot after the “copying files” stage; select “reboot” or wait for it to happen autmatically in 15 seconds. Put your fingers on the Shift and F10 keys and be ready! # When you see “Installing Devices” progress bar in the lower left-hand corner of the screen, press Shift-F10 together. # A command console window will open. Enter NUSRMGR.CPL and press Enter. hi i know this way :turn on ur computer then press F8 u ll enter safemode then type this at Run : ControlUserPasswords 2 .on the opening window choose reset password now log off ur system u can enter without confirming password . i m searching for other ways like some special codes that can use instead of xp password .if u r able please send me codes this is my email : jim_pitterson@yahoo.com. Method 1: Log on as admin to reset the password. When installing Windows, it automatically creates an account “Administrator” and the default password is blank. If you have previously created a password reset disk, you can use it to reset the password also. Check out more interesting categories: Business, Educational, Entertainment, Hack, Misc, Video. HACK – Unlock Windows XP Password! 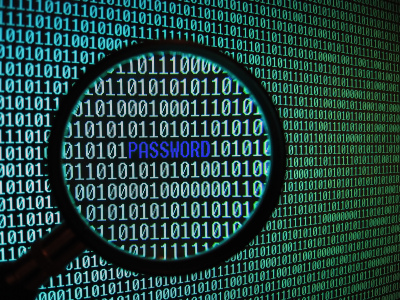 Password Hack – How to Hack Windows, Linux, or even Mac Passwords! Windows XP Hack – How to Hack XP Admin Password! Wireless HACK – Hacking your wireless neighborhoods! Computer Hack – How to Use .bat files To Hack Another Windows PC! HACK – Hack wireless networks by parking next to your neighbor! How to Load a Bobcat Onto Truck Using a Bobcat! HACk – Use msconfig to make your Windows boot up way faster!